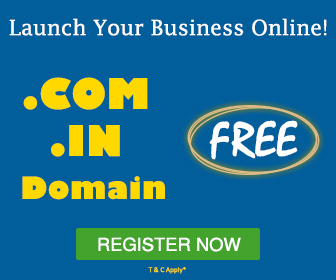 Have got a bright idea for starting a business? That’s great! You might be excited to share it to the world. It means you might be planning to design a website and prior to that you will need to select a hosting plan. It’s very unfortunate that in web hosting, one type doesn’t suit all businesses. While looking for the hosting plans, you will come around several web hosting options. The hosting plans will differ in terms of storage size, bandwidth, system memory and CPU power which will confuse you a lot. Let’s take an example of backing a cake. It requires a keen attention to create the details on the cake. When you know your options for web hosting, it will help to avoid the results similar to a half-baked cake, when setting up your website. Though you redesign a website or create a new one, you will require a hosting plan that offers everything to make it live successfully. “Where shall I start from?” This would be your first question. It’s a fact that many people that are starting their first website often select shared hosting or VPS hosting. For the experienced businesses, a dedicated server would be the right option, but there are majority of businesses that are just stepping into the world of Internet. In general, if you own a e-commerce website that receives high traffic or site that delivers large volume of content such as Forbes would get the most benefits from a dedicated server. But if you aren’t thinking of expanding to such a big level, you will surely be searching for shared hosting or VPS hosting. The two key factors – what you want to achieve with your site and the level of traffic that it will receive will help you to decide on your hosting plan. So, let’s check the two choices. “Shared” the word itself tells you that it’s about sharing. You might have always learnt about sharing things with others since your childhood. So, shared hosting is similar to that. Shared hosting is termed to be the most basic form of web hosting. In this type of hosting, multiple websites are hosted on a single physical server. A web server is distributed to operate and serve multiple websites in shared hosting. Since you will share the same server as the other websites, you will use the same storage, bandwidth, database, etc. It’s popular because it’s quite affordable and easy to maintain. Affordable pricing is the significant point here for the popularity of shared hosting. Therefore, it makes the easiest option for individuals or businesses to select for their website, if they have a low budget. The next reason for people preferring shared hosting is its technical maintenance. This responsibility is completely taken by your hosting provider and so, you don’t need to be skilled for operating and maintaining your site. Also, thanks to the most popular and user-friendly CMS, WordPress with which many people can develop their own website and so, opt for shared hosting with no programming skills required. 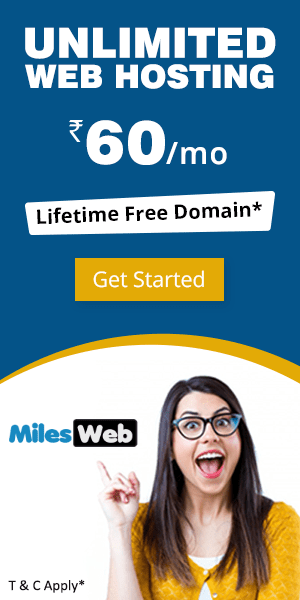 So, if you have a small website on which small amount of traffic is expected (for example, 500 visitors per day), then shared hosting will be the perfect option for you. Also, known as “Virtual Private Server,” VPS is highly robust and offers several features which you won’t find in shared hosting. Though you technically share a server, you get a dedicated portion of it which is just for you. The most important features your get in VPS hosting are the amount of space and bandwidth. This is significant if your website is going to generate high amount of traffic or if you expect an extensive growth in the future. With VPS hosting you get the complete power required for optimal performance then may your website traffic be low or high. Your site will always have the access to the required resources so that it performs well anytime the visitor browses it. With this, you get the surety of two significant things – reliability and stability that helps in reducing or eliminating the downtime issue. An unplanned downtime leads to losses in billions financially each year for the big companies. Also, small companies face the downtime heat when they start losing sales due to it. VPS hosting offers you the control to expand your site in the future without any hassle. You can scale up or down as your website grows or slows down with VPS hosting. It means you get maximum flexibility. You get the SSH root access to your website with the control panel offered with VPS. If you are expert technically, you can even configure the settings as per your requirements. Due to this, you get more customization which isn’t at all possible with shared hosting. VPS plans offer you more security as compared to the shared hosting plans. Therefore, big companies opt for VPS hosting as security is their top concern. 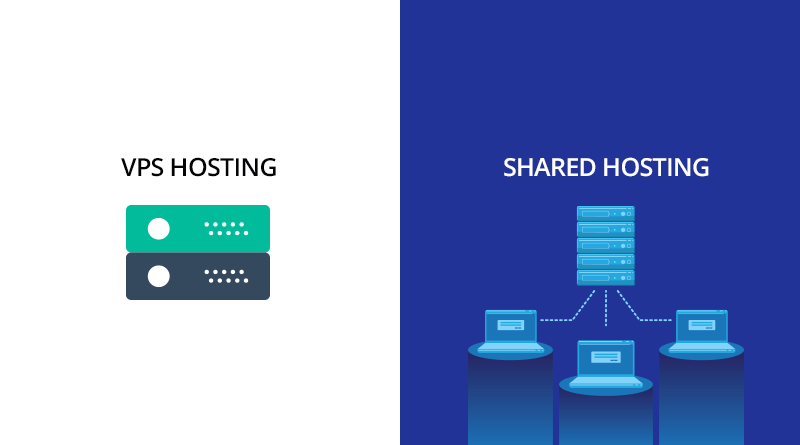 In shared hosting, the server resources are shared unlike dedicated hosting in which the user gets a dedicated server to complete the needs of his site. VPS stands in between the shared and dedicated server. A VPS comprises of bunches of same server which act as dedicated hardware units. The website is completely managed by the webmaster via the control panel. This allows you to customize your website that shares the server with other sites but not like the shared server. In terms of hosting a server, the higher the resources are, the more improved your performance will be. 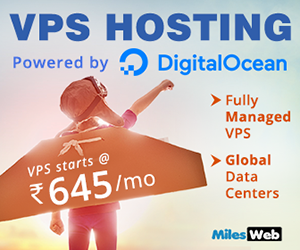 With VPS you get improved overall performance because of the high bandwidth offered. If enhanced technologies are implemented on a shared server, it will surely accelerate the server performance. Nowadays, latest technologies are used even in shared hosting to offer hassle-free usability and so, performance isn’t an issue anymore. VPS hosting offers you strong security features and also allows the users to install certain services in order to upgrade to superior security options. You can also consider shared hosting as a safe option but only one thing that matters, is the use of a common server. If there is a mistake by anyone or one faces a technical issue, it can also affect the other users on the server. You should opt for shared hosting only after enquiring about the amount of resources and the expertise offered for website security. If you are looking for an affordable web hosting option, shared hosting is the solution as it is one of the most economical options. Since you share the server, the cost ultimately gets divided among the other users. But in VPS hosting, you need to pay more as you get the virtual environment which allows you to manage your website independently. So, prior to selecting any one of these, find out your budget and the features you need to for your website to remain online. In shared hosting, the hardware is completely handled by your web host. While in VPS hosting, you need to manage the hardware. For shared hosting you need to select a web host that monitors all the aspects of the server. You don’t need to look after the technical maintenance when your website is hosted on the shared server. All the basic management functions are offered to you without paying additional cost or spending extra time. VPS hosting is also of two types – managed and unmanaged. Managed VPS hosting is similar to shared hosting while in unmanaged VPS hosting you need to manage everything. Scalability is the major point of difference between shared hosting and VPS hosting. In shared hosting, you have limited storage and server space which you shouldn’t exceed. If you cross the limit, you will get internal errors from the host. But a VPS can handle high traffic. This is because you are allowed to scale the resources whenever there is high traffic on your website. So Which Option is Best for Your Business? At the start we saw the example of baking a cake. After the cake is baked the icing is done on it. But what if you fall short of the icing? It will spoil your cake and your efforts will go waste. Similarly, if you choose the wrong type of hosting, it will result in lack of resources. 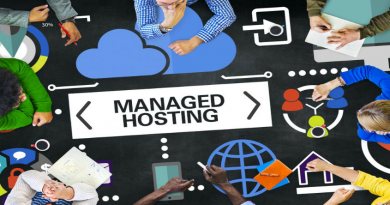 You decision might be wrong in terms of storage space – if you are running a large site, scalability – if your website is just growing or money saving – if you require a cheap hosting plan. May it be any website and business, you should take the decision properly when considering shared or VPS hosting for successful hosting.